Lahore (23 Feb, 2017): The blast took place in the basement of a restaurant. 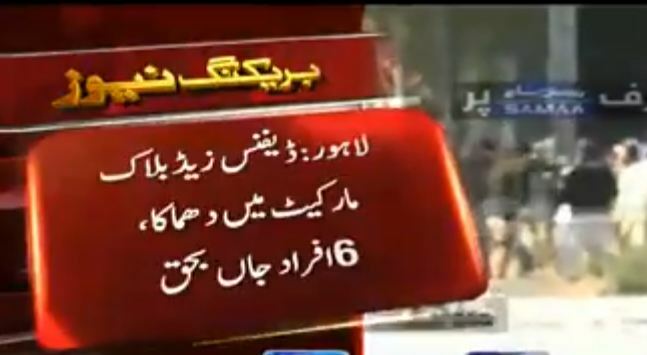 Samaa News has reported that 7 persons died and 15 are injured in the incident. Police and other law enforcing agencies reached the place and started rescue operations. Injured persons have been shifted to General Hospital Lahore for treatment. Offcials of Counter Terrorism Department sealed the premises after the blast.